Have you checked out the BET "American Soul" television series yet? This is the one we told you about last week paying homage to "Soul Train" and Don Cornelius. But let me tell you ... very well acted ... EXCEPTIONAL music ... and a couple of young, stand-out performers who were quite impressive (to say the least). Episode One was more of an overview ... we meet young, ambitious Don in Chicago where he's hosting a local dance show ... then watch him collect fourteen stations for syndication ... before moving to California to launch the program nationally ... and then flash-forwarding to 2012 when Don took his own life with a gunshot wound to the head. I'm anxious to see how they fill in the gaps in between. The music itself was outstanding ... everything from Gladys Knight and the Pips (featuring a spot-on look-alike performance from Kelly Rowland, formerly of Destiny's Child), who performs both "Neither One Of Us" and "I Heard It Through The Grapevine," The Chi-Lites, The Staple Singers ... as well as tributes to The Temptations and The Undisputed Truth. The program is available On Demand ... and Episode 3 will air next Tuesday (February 12th). R&B superstars who have appeared on Soul Train throughout every era of its storied history will come together on the 2020 Soul Train Cruise, paying homage to each generation that grew up with the iconic show. Featuring The Jacksons, The Isley Brothers, Johnny Gill, Cameo, Peabo Bryson, War, Atlantic Starr, Karyn White, Regina Bell, Harold Melvin’s Blue Notes, The Urban Guerilla Orchestra, Cruise Host Tony Cornelius and original Soul Train Dancers, the Soul Train Cruise will revel in the music, inimitable fashion and groundbreaking dance moves that changed music and pop culture forever. The cruise will take place aboard the Holland America Line Nieuw Amsterdam, a luxurious ship that features an array of premier dining, lounges surrounded by panoramic views, a world class spa and salon and elegant staterooms. Cabin prices start at only $1,900 per person (double occupancy) and include access to all of the major concerts, gourmet meals, and daily events. Further information is available at www.soultraincruise.com or by calling 844-266-7685. If you've never seen the program, it's what I like to call "This Year's 'This Is Us' ... but I've become completely invested in all of the characters and it has become one of the few shows I actually look forward to seeing again each week. (I would add newbie "New Amsterdam" to that list, too ... as well as the reworked "The Connors" which, for my money, outshines ANYTHING the series might have accomplished with Roseann Barr still on hand. Chuck Buell's youtube clip of "Let's Dance" had about every 60's sitcom that I loved in it. Some great stuff (in many ways). That ‘60’s Dance Video made my day – it had every show I used to watch in it – Jeannie, Samantha, Ginger from Gilligan’s Island, Mrs. Peel, Laura Petrie … even Granny and Mr. Ed!!! And the perfect song for all of it! What a great clip! One of Elvis' old friends has died. George Klein was one of Elvis’ oldest and dearest friends … he was one of the first disc jockeys to believe in him and was instrumental in getting his early records played on the air. >>>AWW, FOR GOD’S SAKE, STOP UNEARTHING THESE GOD AWFUL PICTURES ... IT’S LIKE I'M RUNNING FOR OFFICE!!!! It's not too late for Scott to consider running for office! 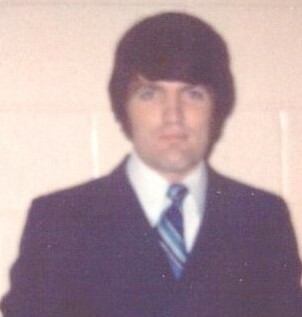 Here's a picture of him I snagged at a local event on Feb 28, 1970. Are you sure that’s not his High School Graduation Picture?!?! 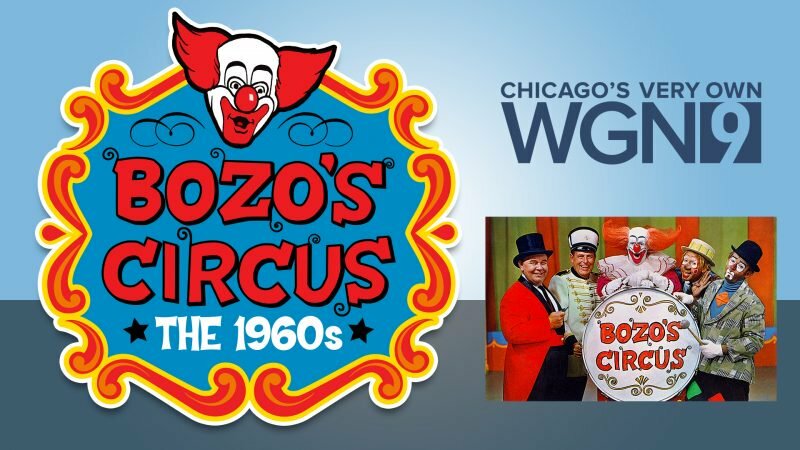 Robert Feder is reporting that “Bozo’s Circus: The 1960s,” a new two-hour special featuring digitally remastered full-length segments from the first decade of the legendary Chicago children’s show, will premiere at 7 p.m. on Sunday, February 17, on Tribune Broadcasting WGN-Channel 9. Hosted by Dean Richards and produced by George Pappas, the special includes sketches, guest circus acts and the Grand Prize Game, starring original cast members Bob Bell (as Bozo), Ray Rayner, Don Sandburg, Ned Locke and Bob Trendler. The special also will be streamed live at WGNTV.com/Live and on the WGN Live app, available in the Apple App Store and Google Play. It will be rebroadcast at noon on Sunday, February 24. Widely regarded as the most popular and successful locally-produced kids’ show in television history, “Bozo” aired on WGN from 1960 to 2001. Just a quick note here to let you know that ABKCO has just posted a really compelling lyric video for the Rolling Stones’ “19th Nervous Breakdown” that we’re sharing here. The record was released in February, 1966, and, yes, “19th Nervous Breakdown” was the Stones’ nineteenth single. It was recorded in December, 1965, at RCA Recording Studios in Hollywood, CA, during the sessions for Aftermath. However, it did not appear on any proper studio albums. The first appearance of “19th Nervous Breakdown” on an LP was on Big Hits (High Tide And Green Grass), released later in 1966. “19th Nervous Breakdown” was released as a single in the UK in February of 1966 with “As Tears Go By” as the B-Side, and then in the U.S. one week later with “Sad Day” as the B-Side. In the single’s first month of release, the band performed the song on The Ed Sullivan Show. The single went to both #1 and #2 in the U.S. and UK, to wit #1 on Record Retailer Chart (UK), #1 in Cashbox (U.S.), #2 in NME (UK), and #2 on the Billboard Hot 100 (U.S.). The song has only ever been officially released in mono sound. The box set The Rolling Stones in Mono (ABKCO Records, 2016) contains a previously unreleased alternate mono mix of the track. The song was written by Mick Jagger and Keith Richards and Brian Jones’ guitar line is partially derivative of “Diddley Daddy” by Bo Diddley. I have been transferring old cassettes to digital and came across an old SNL bit I recorded in the 70's that reminds me of the type of humor that Chuck Buell would enjoy, as well as other jocks on the list. It's an SNL skit where Dan Akroyd portrays a radio station DJ doing a laid back FM underground show at the same time he does an AM pop uptempo show. It's very funny, but not that far from how it was in some ways. Even today, with the digital stuff, it can be done much easier than what Dan was obviously up to in the mid-70's in this skit. WABC had Dan Ingram doing some things like this with a somewhat laid back FM show to the opposite of his AM show at WABC. You could hear Phil Ochs and other more progressive artists on the FM side of WABC just like you get in this skit. It's not quite so similar in sound, but DJs DID do AM and FM shows in the 60's and 70's that featured totally different music. Obviously, FM eventually won out for music and AM went mostly talk. 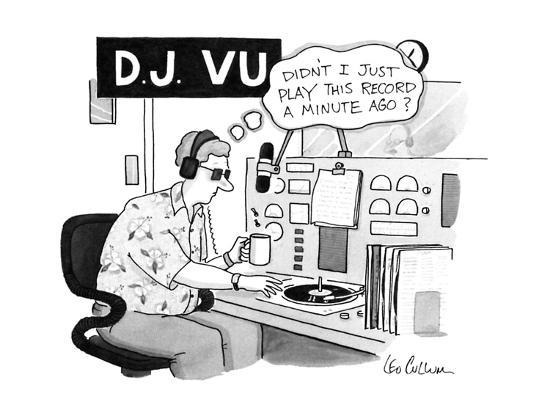 I miss tuning the dial for AM, but the good music ship of the 60's and 70's has mostly sailed, so c'est la vie. For more on WABC-FM and how things went there (as well as in other markets). You'll hear WABC's Bobba Lu playing early Stone Poneys, Electric Prunes, etc. AWW, FOR GOD’S SAKE, STOP UNEARTHING THESE GOD AWFUL PICTURES ... IT’S LIKE IM RUNNING FOR OFFICE!!!! I was fascinated by the technical report pertaining to the Buddy Holly plane so I referred it to my friend, who is literally an aviation history expert. He indicated that the "V Tail" design of the aircraft could have had some control issues versus the conventional design. FYI: The V-Tail Bonanza has been considered a somewhat difficult aircraft to control - because of the unusual tail and having only two, not three, control surfaces there. It was also considered to be of very high quality and with a very good build and with good performance. The "V-Tail" Bonanza was joined by the Debonair in the Beech catalog in the early 60s. The Debonair was just a Bonanza with a conventional tail. Eventually the V-Tail was discontinued and the Debonair became the Bonanza with a conventional tail. Bonanza is still sold that way today - quite a testament to the longevity and durability of the airplane design. I think there’s a fascinating story to be told here … and if LC is talking with movie producers now about making some type of documentary film, that would be AWESOME! (I’ve been researching Chappaquiddick in far greater detail for our 1969 salute … and something like an A&E Investigative Reports or a PBS Documentary Special would be the PERFECT outlet to get this story out there to the masses. His book was great and I look forward to his movie. As a WLS / WCFL fan, I recorded, bought and taped his songs relentlessly in the 60's to 80's. From "Hanky Panky" hitting #1 on my personal charts in ‘66 to playing his mid-70's solo "Tighter, Tighter" 45 on Fantasy in the juke box at our local bar, they all were great 45s. The B-Sides were good as well. One issue about his book was not hearing much about the ’67 / ‘68 45s that were not big hits for him. I loved those, too, and wish there were stories on them, too. Attached are three songs he sang in different languages, too. Not many artists released their songs for YEARS in different languages either. Here are three of his big hits sung in other languages. The tape may be a bit slow, but it’s mainly for reference. As Tommy James mentioned in ME, THE MOB, AND THE MUSIC, his US#1 Hit "Crimson And Clover" broke all over the world, except in Great Britain, where it failed to chart. In fact, there seemed to be a disconnect between the US and UK charts in early 1969. That year's first five UK chart toppers didn't even crack the Top 100 in US Billboard. One of these was by a seven piece Welsh outfit called Amen Corner. Their song took its melody from an Italian pop hit with new English lyrics. First turned down by The Tremeloes, but also released by The Dave Clark Five, it was the Andy Fairweather-Low led single that only took two weeks from release to reach UK#1 in February. Part of Amen Corner's appeal was that they were teenage pop idols in Britain and they had already had several UK chart hits. It remains one of my favorite pop singles from when I lived in London. I could never understand why "(If Paradise Is) Half As Nice" never became a hit in the US. Its lack of promotion could have something to do with mismanagement of funds (including rumored embezzling) by some Immediate Records' executives. Founded by former Rolling Stones' manager Andrew Loog Oldham, Immediate became a legendary rock label with several major UK stars but folded in 1970. Amen Corner broke up in late 1969. Fairweather-Low, an accomplished guitarist, would have a brief solo career before playing as sideman for several artists including with George Harrison and with Eric Clapton. 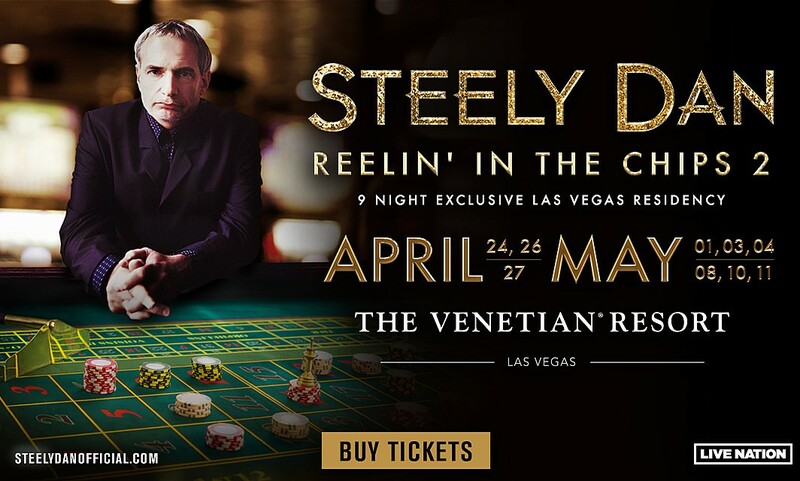 Two of the Amen Corner went on to be part of The Bee Gees rhythm section in the Seventies and played on SATURDAY NIGHT FEVER, the all-time best selling soundtrack. In regards to Mike's ideas of what was the first " rap" record as well as your own, it seems that while back, and I don't remember where I read this, maybe in FH, but someone said the first "rap" record could be Hank Snow's 1962 crossover hit I'VE BEEN EVERYWHERE. Man, I don't know. I agree with Mike's assessment of any or all of the early Dickie Goodman break-in records which he made back then. You didn't tell us this! "The production of Hamilton was suspended in Chicago due to the recent Arctic Cold Weather. Once again 'Brrrrrrrrr' killed Hamilton." VVN Music is returning in an altered form to provide information on Awards, Honors and Charts for 1955 to the present. VVN Music will stay on top of all the music awards, posting the nominees when announced and the winners. Every year, numerous music halls of fame go through the nomination and election process. VVN Music will have the details of both when they occur. In addition, our home page now includes the top hits of 2019 as of the current week in both the U.S. and the U.K.
Also look for occasional other features such as lists of the top recordings by artists who have achieved a significant milestone or who have recently passed away. We will be sending out an e-mail newsletter every one to two weeks updating you on the latest new posts. Thank you, as always, for your ongoing support. 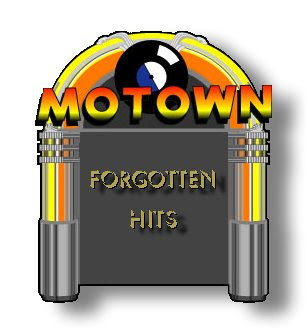 Hey, I know ALL about “limited postings” … been trying to do that for YEARS now … but there’s something about Forgotten Hits that drives me … and so I beat myself up daily to offer the best I can give under some VERY limited circumstances. It’s all about the love of the music … and sharing that love with so many others. (I’ve even thought about pre-posting twenty years of FH so that it’ll still go out every day long after I’m gone! Lol) But who will read it?!?! ‘Cause you guys will all be gone, too. OK, because you do that 60s Forgotten Hits Thing, here's something that made me Feel Good and Smile that I just wanted to share with you!